Gaelic culture spans Ireland as well as Scotland and “the craic” is any form of news, gossip, fun, entertainment, and includes enjoyable conversation. So to enjoy the craic soak up what’s going on around you and take in any form of music or entertainment on offer. From Gaelic rock legends Runrig to ceilidh kings The Vatersay Boys and a clutch of top class contemporary Scottish music bands there’s a lot to like and enjoy on the music scene. Tidelines played Elgol last year and Skye Entertainments for All (SEALL) publishes a list of events on Skye. A firm family favourite is Skippinish whose “Home on the sea” is Calmac’s theme tune to promote its ferry services in the islands. Is Gaelic spoken on Skye? Tha sin fìor! That is to say, yes it is! The language is thriving on Skye and the south of Skye is home to Sabhal Mor Ostaig the Gaelic medium higher education centre. To get an idea of the language you can tune into BBC Alba for daily schedules – its on radio and on TV from 6pm each evening. Skye hosts various music and arts festivals. The next big music festival is Beo Fest in May 2019 at Armadale Castle which is to be headlined by The Vatersay Boys. So enjoy the craic on Skye! 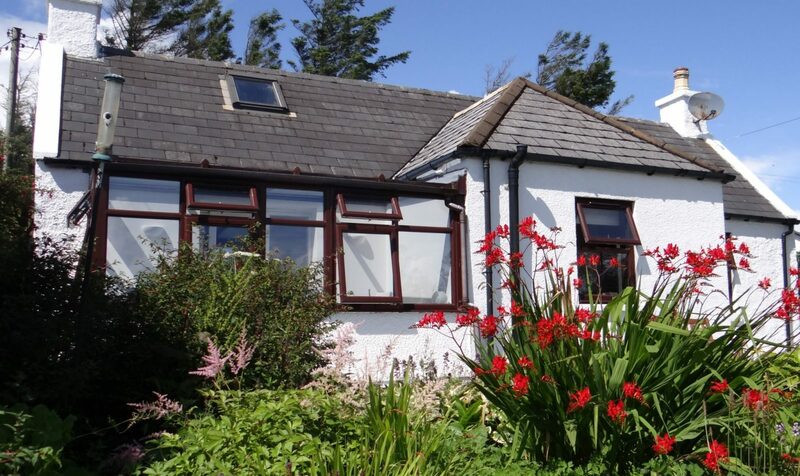 Springbank Cottage is a good base for south Skye and there’s plenty to do. If you want more than just a “standard” holiday cottage, then take a closer look. We hope you will be surprised by how much is on offer during a stay at Springbank Cottage.